What can I do in the cloud? We have all heard so much about “The Cloud”, but now what? How can I get the cloud working for my business? 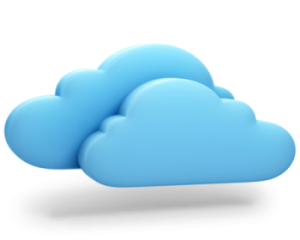 Advanced Data specializes in designing, installing, migrating, and supporting cloud services for business’s. Are you sick of having to purchase new servers and workstations every 3-5 years? Would if you could extend your investment beyond that? What could you do in your business with that extra capital? This is not a dream. With a well designed plan and the proper hosting services, Advanced Data can help you invest your business in the right cloud services, maximizing your hard earned time and money. Our hosting services lowers capital expenses and reduces energy costs. It also allows you to quickly deploy cloud phones, virtual servers, backup services into a virtual infrastructure in days not months. Considering a business VoIP system? Ask yourself the following questions . . .
Is your current telephone system out of capacity? Outdated? Inflexible? Immobile? Too expensive to maintain? Do you experience unnecessary downtime resulting in lost revenue? You need some relief with Advanced Data’s hosted VoIP, phone service. Ask anyone for the best way to design and deploy a wireless network and they will tell you a centrally managed wireless controller is a must. But who is going to pay for, setup, configure, and support it going forward? You could bypass the controller and manually manage each individual access point, but who wants to do that, let alone has the time for it. Plus you wouldn’t get any of the advanced features a controller provides. To learn more about our Hosted WiFi solutions and if it is the right solution for your business, contact us. Call us to learn more about our Hosted Wireless! Virtualization (virtual servers) enables you to run and manage multiple operating systems on a single physical server so you can save money and reduce downtime. With Hosted Servers from Advanced Data, you can take advantage of our expertise, facilities, and support to achieve all the benefits of virtualization, without the time, costs and resources required to deploy and maintain your own on-premise solution. To see if your environment is a good fit to move to the cloud, schedule a free Network Assessment. Comprehensive backup service. Safety in the Cloud. Your data is arguably your most valuable business asset, which is why we do more than just back up your data – we protect it as if it were our own. Do you need solutions that are compliant, like HIPAA, Sarbanes-Oxley, or PCI? Our solutions meet or exceed the requirements for these standards. What’s most important is that all of our offerings are fully managed by our backup & recovery team. Advanced Data understands that backups only matter when it’s time to recover. We will ensure that your data is available where you need it, and when you need it! Hosted Microsoft Exchange: Sophisticated communications made easy. Microsoft Exchange gives you sophisticated control over email, contacts, calendars and other functions. But building and maintaining your own local Exchange system can be expensive and distract you from executing more strategic initiatives. Advanced Data has a better approach. Our 100% hosted solution includes clustered and redundant Microsoft Exchange servers that provide more than enough horsepower to support all of your organization’s messaging needs. Our Microsoft Exchange experts will also handle the entire set-up and configuration for you! Each Exchange user gets a mailbox, contact list, task lists, and private and public calendar access — all accessible from any full version of Microsoft Outlook or any Web browser that supports Microsoft’s Outlook Web App (OWA). Our skilled Microsoft Exchange technicians handle all of the hardware and software upgrades for you, and all Microsoft licensing and data backup costs are included as part of our service. To get pricing for your organization, send us a message. We built our data center with redundancy built-in at every level; power, cooling, UPS’s, generators, networks, storage, service providers, and security. Our facility has modern access control systems to monitor and permit only authorized individuals where they need to be. We also monitor the Data Center with 24X7 security cameras and a security system. Built on a Cisco network, security, reliability and performance are our top priority. Too many times cloud providers offer a product with no human support—we guarantee a hands-on approach in a local cloud where your data is immediately available. Are you sure? Do you want to be? Are you barely keeping your head above the IT waters? See how we can help you stay afloat with your technology!